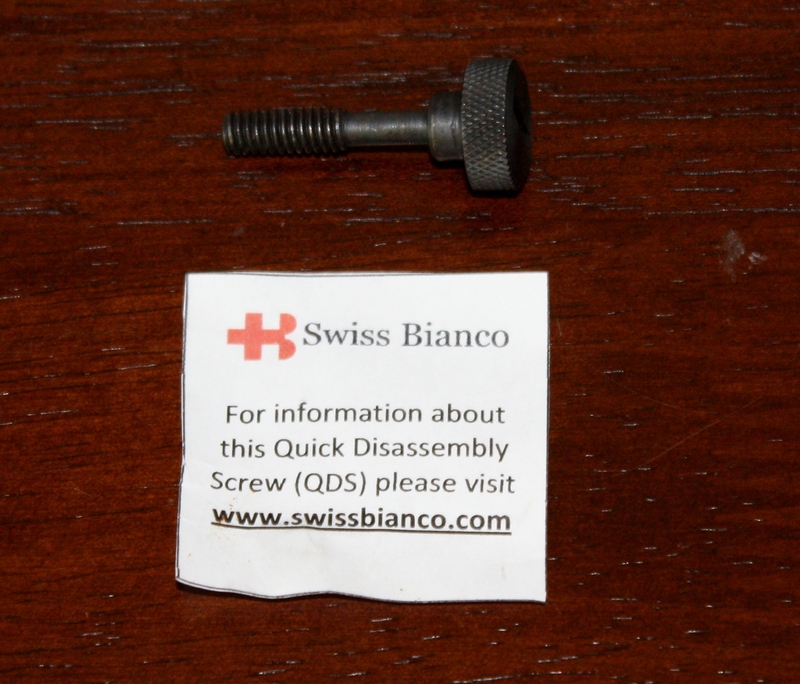 The brilliant guys over at Swiss Bianco sent us a Quick Disassembly Screw (QDS) for review when they sent us the awesome M-Sharp (check out the review here). The QDS is a screw that replaces the factory receiver screw (technically known as the Receiver Stock Takedown Cap Screw) on a Ruger 10/22. The Ruger 10/22 Rifle when broken down is two parts is around 23 – 26 inches depending on what stock you have. This is ideal if you are trying to throw the rifle in a bag and not make it look like a rifle. The QDS allows for this process of disassembly to happen in seconds. 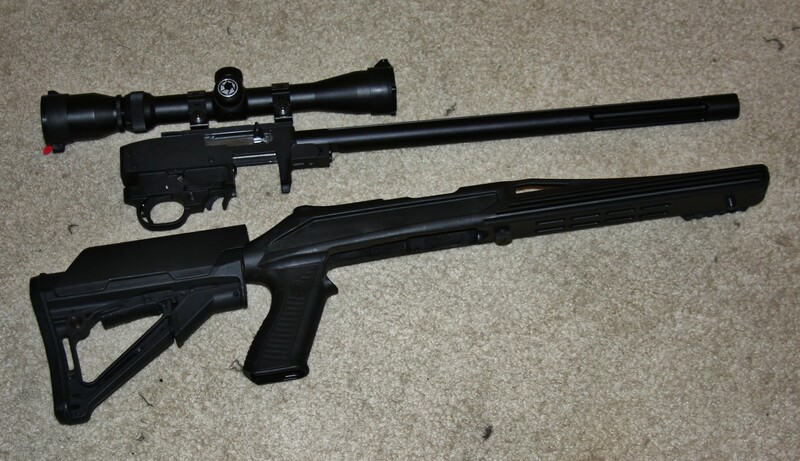 The 10/22, depending on the model, has two main sections; the stock and the receiver. The barrel is attached to the receiver through a V-shaped steel block that fits over an extension at the bottom of the receiver. 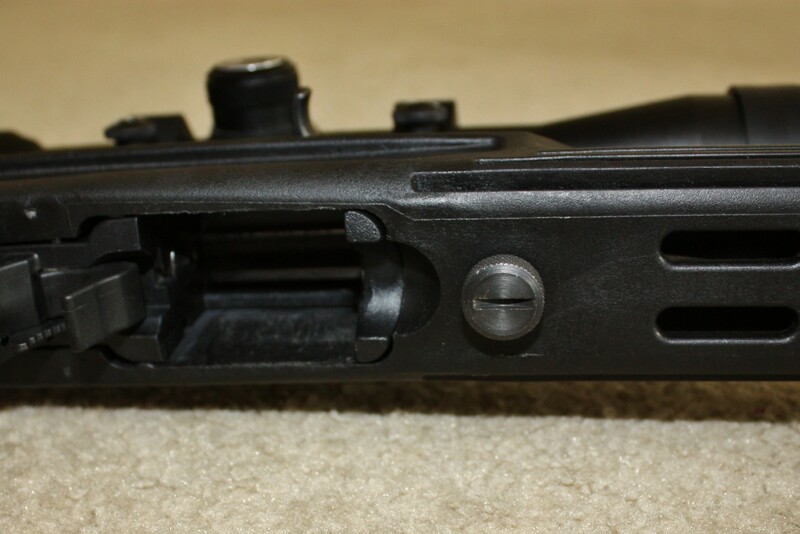 The stock and receiver are held together, again, depending on the model, by a barrel band and a receiver screw that holds the front of the receiver into the stock. Most of the higher end 10/22 forgo the barrel band so they are using the receiver screw as the main connection point. 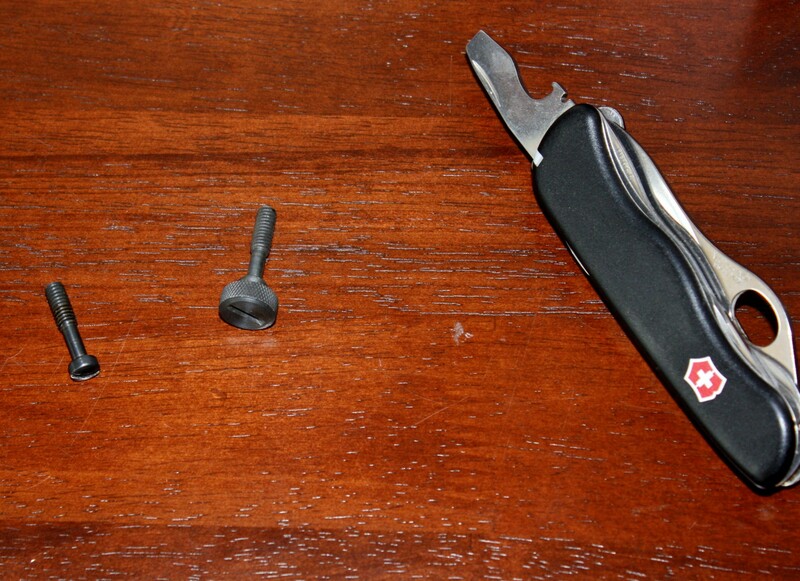 The QDS replaces this screw with one that has a number of advantages over the stock Ruger screw. First it allows for the fast disassembly of the 10/22 be it for moving the rifle from place to place or for cleaning and maintenance. And second, it has a much wider head that allows for more surface area when tightening down the screw. In our testing of the QDS this is a great feature as it holds the receiver to the stock much tighter. Usually to take the rifle apart you need to use a screwdriver to unscrew the receiver screw. The QDS allows you to do this by hand if you set it on really tight you can unscrew it with a coin. 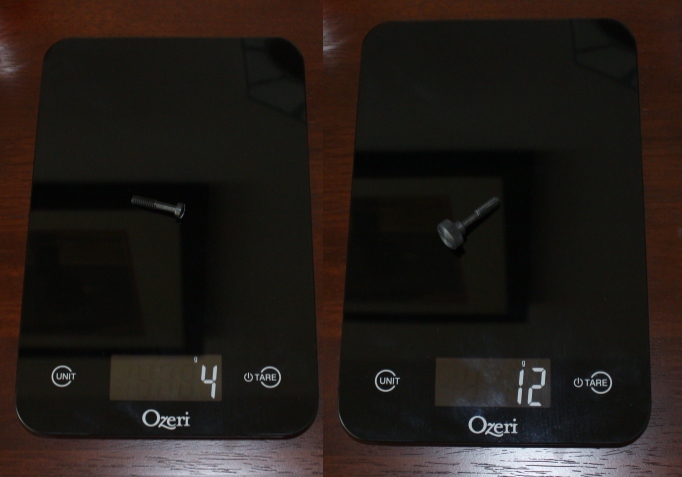 The QDS (12 grams) is just a tad heavier than the stock screw (4 grams) but is well worth the little bit of weight. We have few 10/22s and we have one build that specifically is my favorite. We built a super lightweight 10/22 with a BLACKHAWK! KNOXX Axiom R/F Stock, a Tactical Solutions Barrel and a KIDD single stage trigger for my nephew. 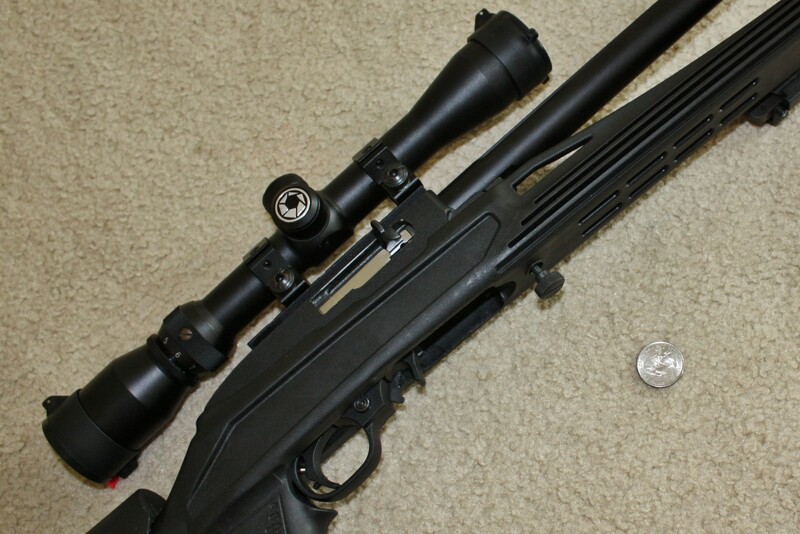 The rifle with a scope on it comes in at a little over 4 ½ pounds and it’s a tack driver. Love that rifle!! The QDS fits right in on this rifle. It allows for a quick strip down for cleaning. Also with the Axiom stock you can break it down to around 25 inches to throw in a duffle. Again this is one of those items that like the M-Sharp, is brilliant and super simple. If you have a 10/22 the QDS is a must have piece of kit and at only $11 everyone can afford it. Its a great part replacement that we highly recommend and again the guys over at Swiss Bianco are brilliant. If you have any questions about the QDS, don’t hesitate to comment in the comments section below or on our Facebook page.